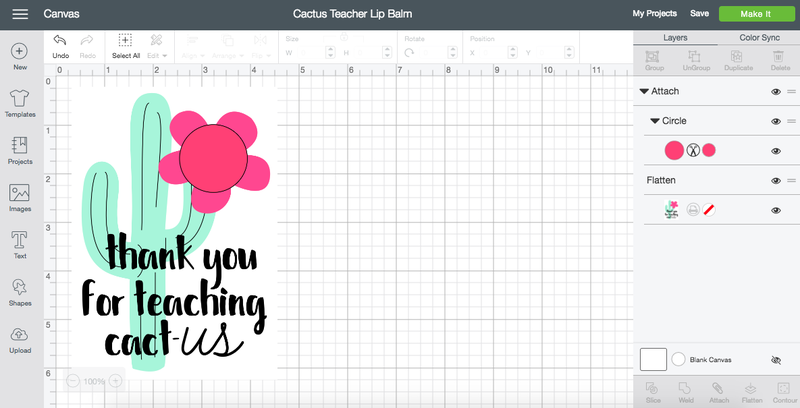 Not So Cli-Shéa: DIY Cactus Teacher Lip Balm with Cricut! 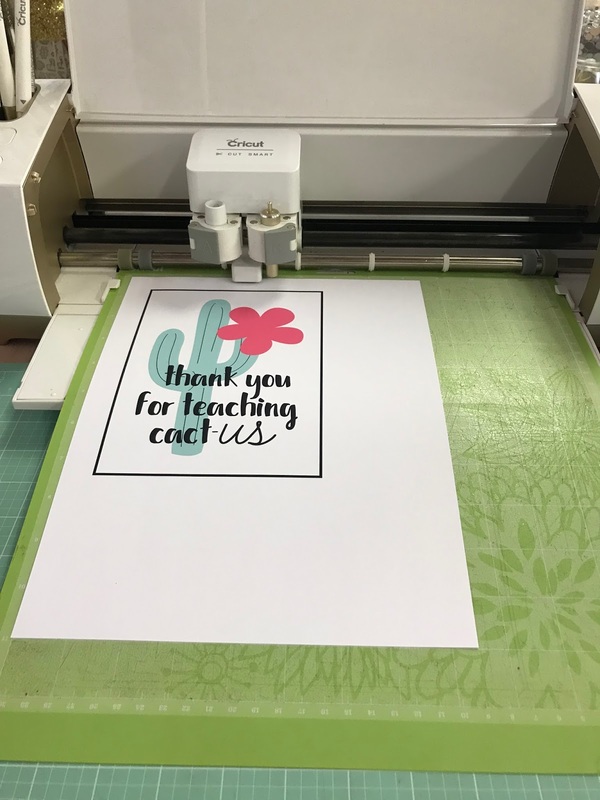 Last week I was part of a Cricut challenge where I created an "End of the School Year Project". I had so much fun with it, that I created another one! The two projects would be great together, OR on their own! 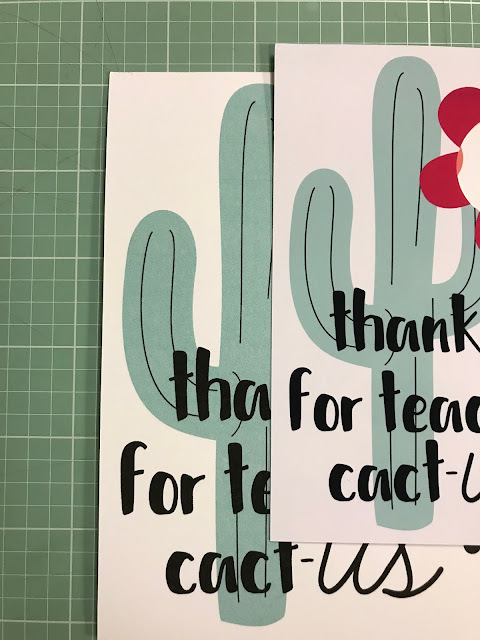 It's no secret that I love cacti, so I decided to keep the cacti love comin' with today's project. By now I'm sure you've seen at least one EOS lip balm project, they're all over Pinterest. 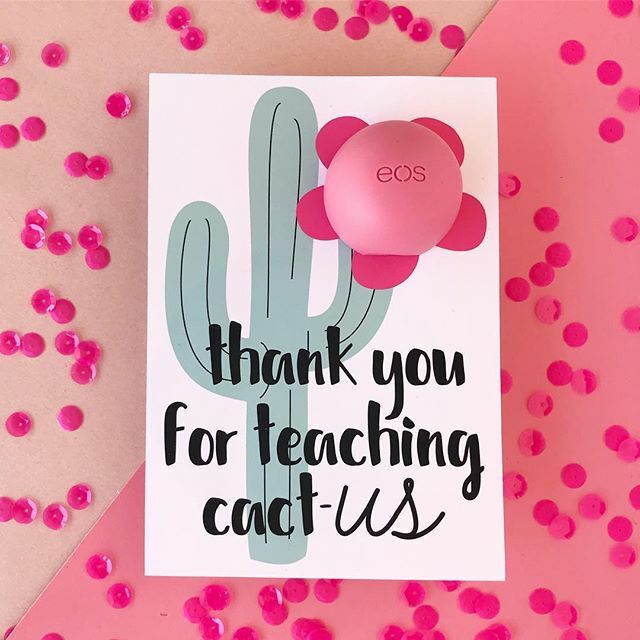 I realized I hadn't seen a cacti one though! So... I created one! 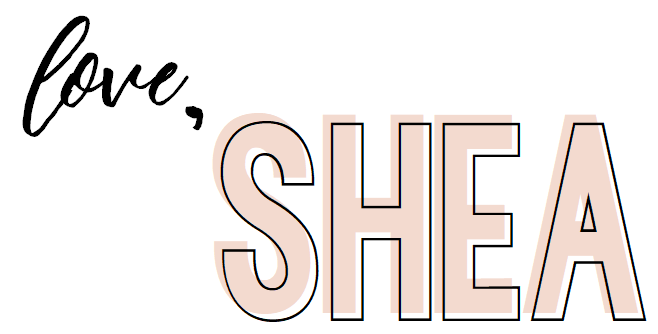 I've taken care of all of the work by creating the Design Space file for you, all you have to do is click "Make It"! 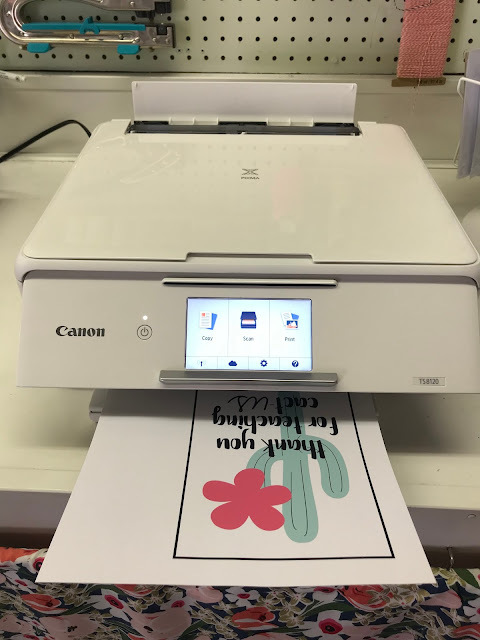 Once you do, be sure your print settings are correct and that you tell your printer you'll be using photo paper. YOU GUYS... I have a confession to make. I've never actually used photo paper until this project and O-M-G it makes SUCH a difference! I feel like I've been living under a rock! Seriously! Look at the difference! The printable on the left is on regular cardstock, and the one on the right is the matte photo paper. Look at how much more crisp and clean it is! Once you have printed your project, put it on a Cricut cutting mat and load it into your machine. The machine will read the registration marks (the square around your image) and cut it out perfectly! 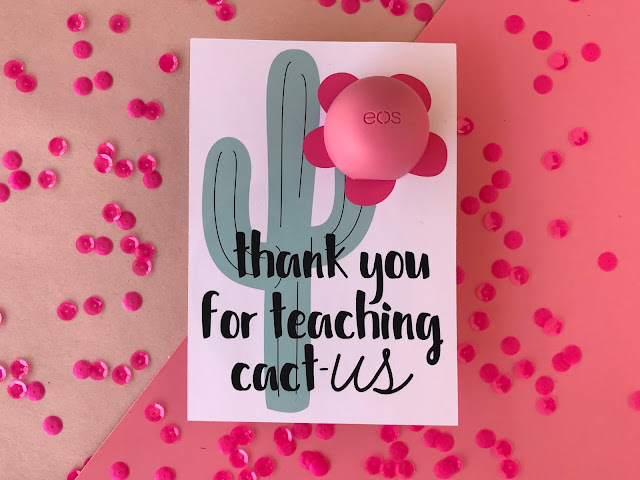 Then all that's left to do is add your EOS ball and you're done! So easy right?? This project can be done from start to finish in a matter of minutes! To make the project yourself click HERE.